We have asked a number of inspirational designer - makers to work exclusively for Buy Design Gallery. You can select your own designer - maker, who will work with you to create furniture to your or their design. 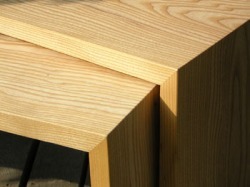 All of the furniture is made from carefully selected Scottish timber. Each piece of furniture is made in our own workshop here at buy Design. Quality, innovation, design, function and budget are all to be considered. If you have never commissioned a piece before its not painful ! It’s an enjoyable experience, and you’ve been part of the process. From free-standing kitchens to bespoke furniture and interior products designed to fit into the most awkward or spacious of spaces we can offer you a comprehensive design solution and we can make furniture for any room in the home or garden. One of our designer - makers will work in partnership with you to turn your ideas, dreams or designs into a reality. If you would like us to design the furniture for you we will reflect your ideas, thoughts and aspirations producing a series of designs for you to choose from. If required, we will visit your home to discuss the project with you. We will provide you with written quotations and a delivery date. When you are happy to proceed, your own personal designer - maker will work with you throughout the project keeping you informed of progress. If at any time you would like to visit the workshop to see your designs becoming a reality this can be arranged by prior appointment. If you can imagine it we can probably make it for you. Good design, quality of craft and expertise creates the bridge between your ideas and the finished product. Whether you would like furniture in a traditional, contemporary or highly individual stylistic design we can make it for you. We work in a variety of materials including glass, metal, slate or stone and can incorporate them into individual designs. From small one-off pieces of stand- alone work to enhance your room, to furniture specially designed to functionally compliment your home we can make it for you.